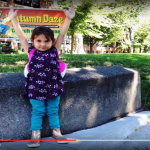 If you're looking for great kids' media, you've come to the right place. One of the most exciting – and anxious – times in a young person’s life is the start of the school year. 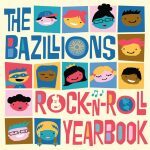 This fall, The Bazillions provide young students with a soundtrack to carry them through the school year: Rock-n-Roll Yearbook, available on August 25. The Bazillions, known for their “pitch perfect twangy indie pop rock,” tight harmonies and tangentially educational songs and music videos, are a Parents’ Choice and NAPPA Award winning mom-and-pop indie band based in Minneapolis.